ALBANY – Dr. Paul J. Centi, PhD, of Albany, passed away peacefully with family by his side on Friday, February 11, 2011 at the Albany Medical Center. Dr. Centi was born in Amsterdam on September 20, 1923 to Anthony and Mary (Agosta) Centi. He was a veteran of service in the U.S. Army during World War II, where he first taught engineering at the University of Alabama before serving in France. He was a 1948 graduate of Siena College and earned his doctorate at Fordham University. He held teaching positions at Mount St. Mary’s College and St. Peter’s College, and was Assistant Director of Psychological Services at Fordham. He was also director of the Counseling Center at Holy Cross College. Dr. Centi later served as Professor of Psychology and Director of the Counseling Center at Siena College. He retired Professor Emeritus from Siena in 1987. A licensed psychologist he was a member of the American Psychological Association and the American Association for Counseling and Development. He served as President of the American Catholic Psychological Association, President of Division 36 of the American Psychological Association and as a member of the Council of Representatives of the APA. He is listed in “Who’s Who in American Education,” “American Men of Science,” “Who’s Who in the East,” “The National Register of Educational Researchers” and “The Dictionary of International Biography.” He published many books, pamphlets and articles in his field. 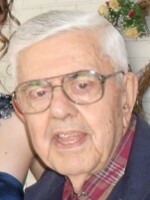 He also was a lifetime member of the Italian American Community Center serving on several committees and as President of the Board from 1988-1989. Dr. Centi is survived by his beloved wife of 59 years, Dorothy Infante Centi; his children Daniel (Rosemary) Centi, Mary (Jean) Nelson, Paul Centi, Dorothy Centi-Jones, and Elizabeth Centi-Grogan; his grandchildren Daniel A., Justin (Amanda) and Jacqueline Centi, Joseph, Jeffrey and Christopher Nelson, Paul and Micaela Jones, Alyssa and Daniel Grogan; his sister Clem (David) Brumley; his sisters in law Terry and Ruth Centi; and by several nieces and nephews. He was predeceased by his brothers Joseph and Gabe. Funeral services will be held in the Hans Funeral Home, 1088 Western Ave., Albany, Wednesday morning at 8:30, and from there to the Parish of Mater Christi, Hurst Ave., Albany, at 9:30. Relatives and friends are invited, and may call at the funeral home Tuesday from 4-8 p.m. Interment will be in Mt. Carmel Cemetery, Amsterdam. In lieu of flowers, the family asks that donations be made in his name to the Siena College Foundation Fund for Special Projects, Siena College, 515 Loudon Rd., Loudonville, NY 12211. To leave a message of condolence for the family, send a sympathy card, or obtain directions to the funeral home, please visit www.HansFuneralHome.com. Our thoughts and prayers are with you for peace as you grieve. We will miss our Uncle Paul who always had time for his nieces and nephews; time to ask questions, listen to details of our lives,and offer advice and encouragement. It’s humbling to see how much he accomplished professionally, while knowing how much he also devoted to his family…a tremendous role model for our family. Trust in the Lord for comfort and trust that Uncle Paul is at peace with his parents and brothers (I’d like to think his brother Gabe met him with a great meal ready and waiting). To Liz and the entire Centi family I send my deepest and most sincere condolences. I’m so sorry for your loss. I send prayers and strength to all of you. I’m so glad I saw your dad not too long ago and had the chance to chat with him. Dwell on the fabulous memories and he will remain close to you forever. We are so truly sorry for your loss. I loved when your father would share stories about his youth and the memories of “growing up Italian.” He was so proud of his heritage,( long before it was fashionable.) I know we will never get accustomed to these larger than life losses in our families …..but thank God we are a faithful family, and have the peace of knowing that a life everlasting awaits us all. We love you all and pray that you are comforted. I am so sorry for your loss. My thoughts and prayers go out to you and your family during this difficult time. Dwell on all the memories and he will remain forever in your hearts. He is at peace now with God and His Angels. My thoughts and prayers are with you and your family Joe. I am truly sorry for your loss. Thoughts and prayers are being sent to all the Centi & Brumley families, God Bless you all, take care of each other and just remember what a wonderful man Paul was to everyone. My sympathy to you and your family. I remember talking with you about your dad. At that time, he was teaching at Siena. I’m sure you kept him smiling with the great sense of humor that you possess. I just heard of Paul’s passing. Please accept my condolences. Paul was my father’s cousin and we got to know each other when I was a student at Siena in the early 1970’s. I truly enjoyed those days as he was always available to talk and had a genuine concern for the Siena community. Dan, we graduated together in 1974 and for a time we worked together in the library. I hope that you remember me. How fortunate we were to have had men like Paul teach us and model the Franciscan philosophy. Our lives have been all the better for having shared time with him.